The Park Pro T-Style Pedestal Electric BBQ comes fully assembled and ready for immediate installation. Finished in powder-coated cladding the unit is fitted with the Queen size hot plate in a stainless steel bench top with additional bench top space for preparation. Cladding is available in a range of colours or optionally in stainless steel – view our Finishes page for further details. The hot plate features embedded elements and copper backing to generate high heat conduction and retention. 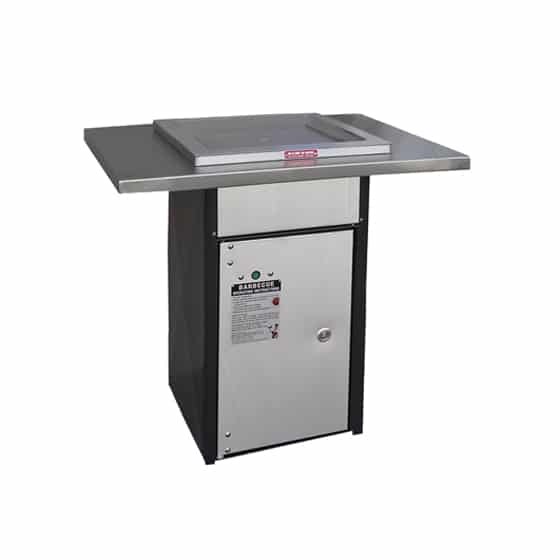 Choose between push button operated or coin operated ignition and 3.5KW or 6KW electric hot plate. With easy installation and that added bit of extra room for the barbeque utensils the T-Style Pedestal Electric BBQ is hard to beat. Get in touch to request a free quote today. No need for any brick or stone construction – just pour a concrete slab and you’re ready to go! 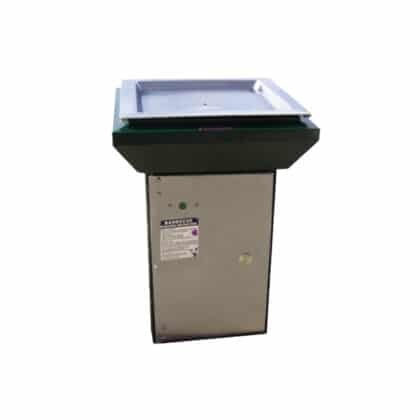 Stainless steel standalone single pedestal with an extended top fitted with a single Greenplate® Inbench BBQ. 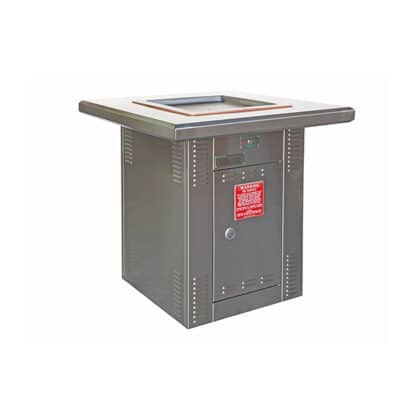 Compact pedestal cabinet with one electric BBQ. Stainless steel bench top & double unit options available. Electric operation only. 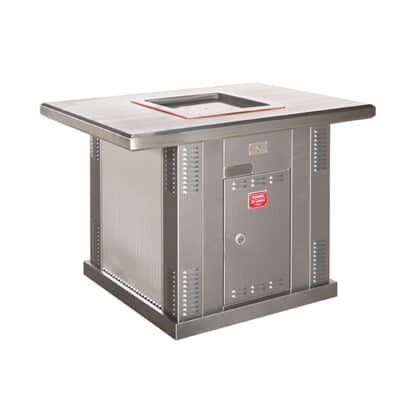 Stainless steel standalone pedestal fitted with the energy saving efficient Greenplate® Inbench BBQ.